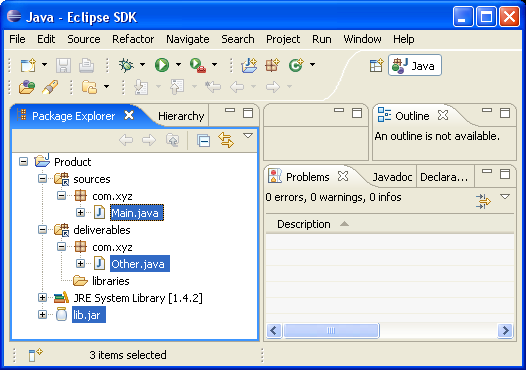 The Java source files for a product are laid out both in sources and deliverables directories. 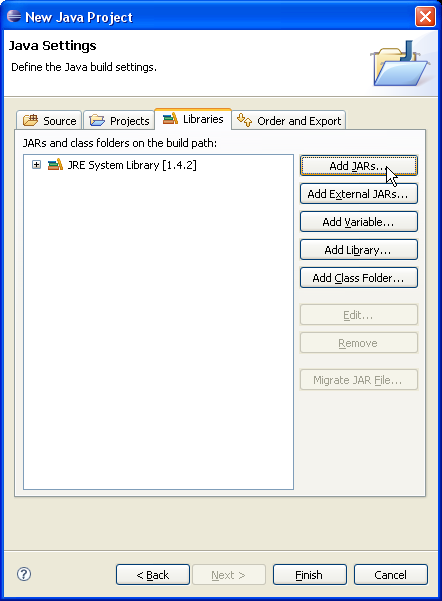 All Java class files are laid out in deliverables directory. 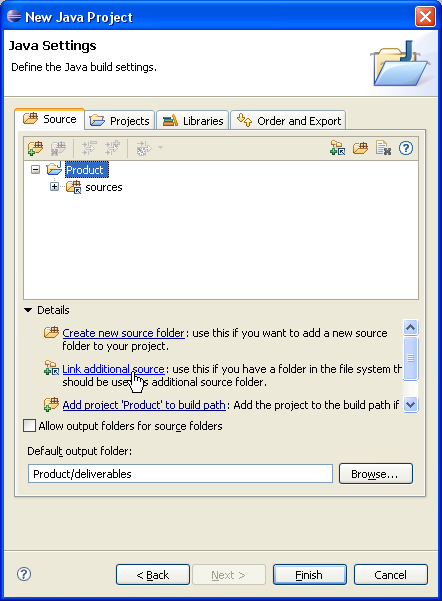 Type "Product" in the Project name field. Click Next. 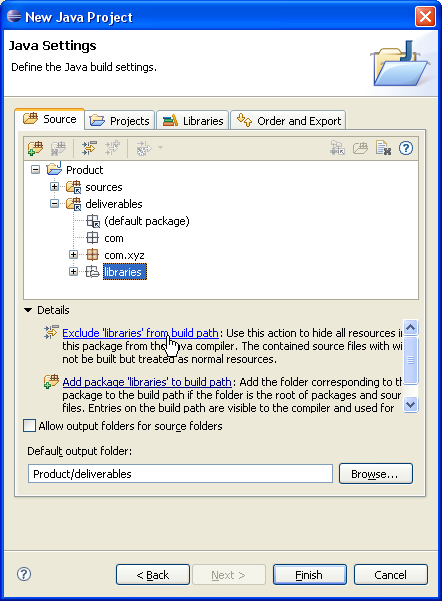 On the next page, Type "Product/deliverables" in Default output folder field. 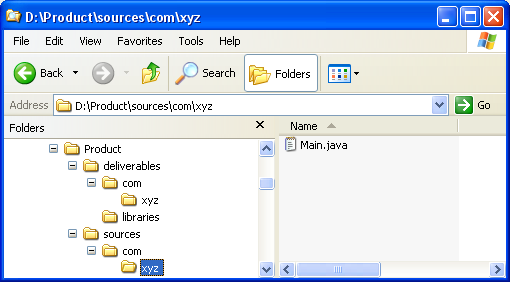 In Link Source click Browse.... and choose the D:\Product\sources directory. 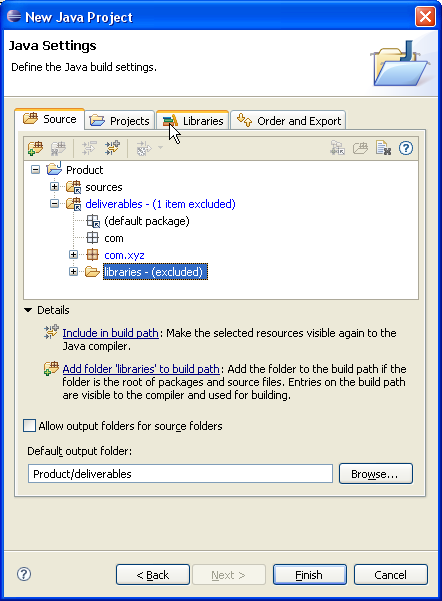 Again, Select "Product" and click Link additional source link in Details pane or button in view bar. 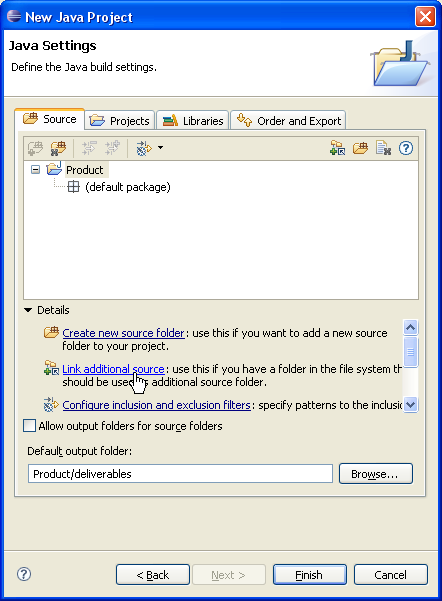 In Link Source click Browse.... and choose the D:\Product\deliverables directory. 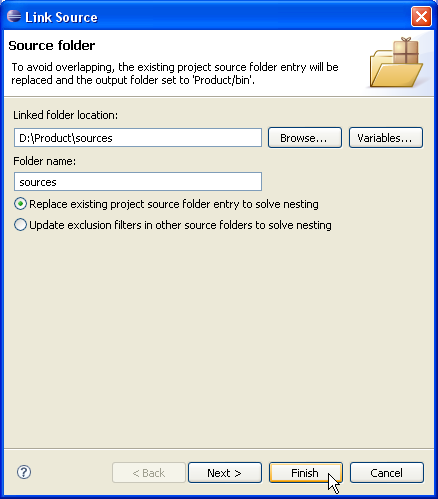 Expand the "Product/deliverables" source folder. 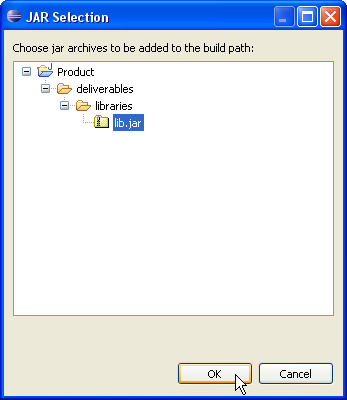 Select the "libraries" package and exclude it from build path using either Exclude 'libraries' from build path link or Exclude popup-menu item. 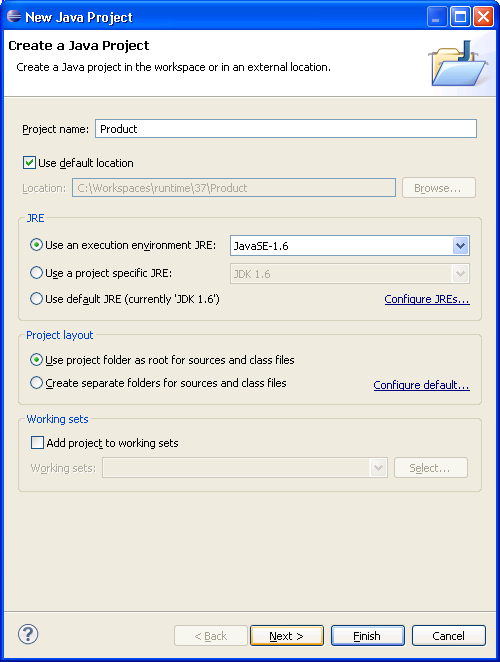 Click Finish to finalize project creation. 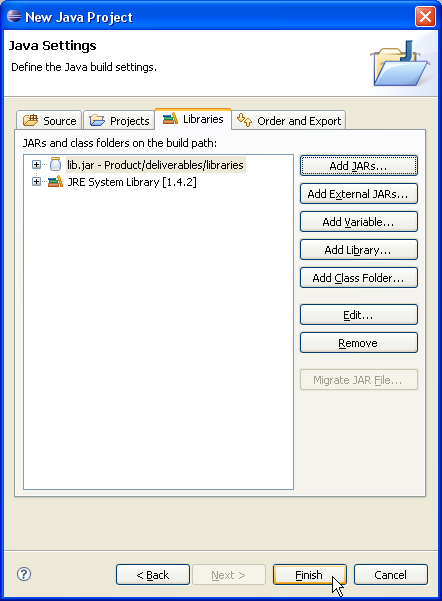 You now have a Java project with a "sources" folder and an output folder which contains nested library resources.